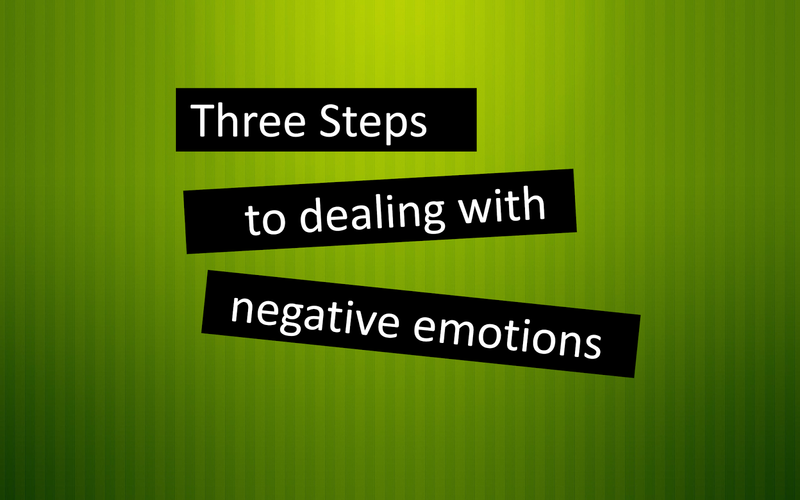 I am working on a post about negative emotions that debilitate and derail us in our personal, social and professional lives. I do not include spiritual lives in this because my own view is that it’s all spiritual. There is no facet of our lives from which God is absent. Okay, so back to the negative emotions, the ones I will focus on are regret, anxiety, guilt and shame. Together, they make us the old R.A.G.S. that a lot of us continue to wear long after they should have been discarded. Of course there are many more negative emotions, but these are the ones I run into most frequently from people who really want to live a fully satisfying life, but struggle to pull it off. For a lot of folks, facing these things can be overwhelming. So before I ask you to do that, I want to offer a way to deal with them so that when that post arrives, walking through the negativity might not seem quite so overwhelming or hopeless. 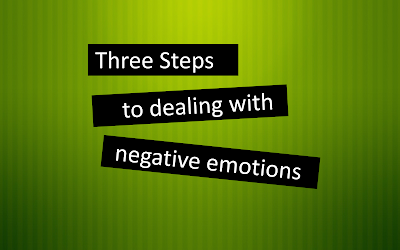 So here we go with 3 steps to dealing with any negative emotion. 1) Face It. Just come face to face with it. Name it. Tell it to God or to a trusted friend. But say it out loud. Write it in big, bold letters in a journal. Don’t post it on social media. But name the demon and get it out there. Admit to yourself and to someone else who loves you that you are experiencing guilt or shame or whatever it is. You cannot overcome what lurks in the darkness unless you drag it into the light. So as hard as it might be, you are going to have to face it. 2) Process It. Now that it’s out in the open, you have to figure out why it’s there and how it affects you. Some diagnostic questions might be helpful here. a. From where does this feeling originate? b. What influenced me to accept this feeling or belief about myself rather than feel or believe something more positive? c. What does it gain me to hold onto it? e. What will my future look like if I continue to give into this feeling or belief about myself? f. How can I redirect my thoughts (what can I learn or discover) and actions (what practices can I adopt or how can I change my environment) to support a realignment of how I feel, to something that is positive and life-giving? 3) Respond to It. Take action. You cannot change your attitude magically. But you can daily choose to have an attitude that rejects the voices that want to drag you into the darkness, and turn up the volume on those that are inviting you into the light – into joy and health and courage and strength and peace. Begin engaging in actions, learnings, practices and habits that support life. Get around people who will encourage you, love you, challenge you, pray for you and support you. Your rags are not going to fall off. You have to intentionally discard them and put on something new. You can do this! People make this kind of decision and start taking these kinds of actions every day. You can too! Later this week, I will finish the post about what R.A.G.S. look like, and talk about the damage they do. The good news is, now we know what to do with those R.A.G.S. We will face them, process them and respond to them. They will not defeat, debilitate or derail us any longer. Be encouraged! Getting Rid of Your Old R.A.G.S.